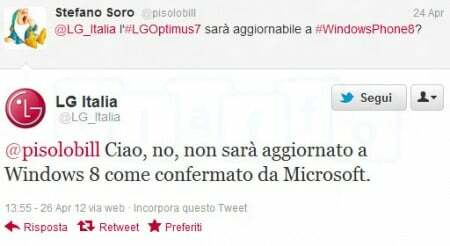 There has been some confusion this morning surrounding a tweet that was published by the Italian LG Twitter account. 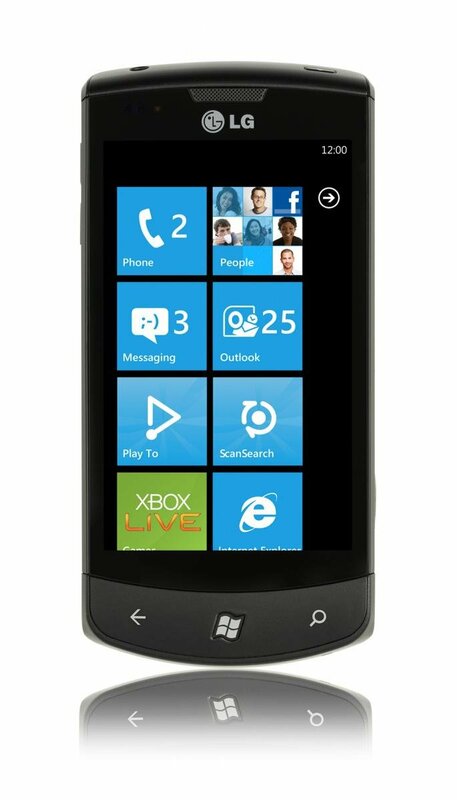 The tweet in question was in reply to another user who queried whether or not the LG Optimus 7 would be receiving the upcoming Windows Phone "Apollo" update, which stated that the device would not be upgraded as confirmed by Microsoft. Microsoft hasn't officially confirmed anything regarding the "Apollo" update, apart from app compatibility. LG has since published a follow up tweet explaining that the previous statement was made in error. It's still up in the air whether first and second generation Windows Phones will be updated to "Apollo", so we should all continue to await confirmation from the software giant.